This is by far my favorite sandwich. 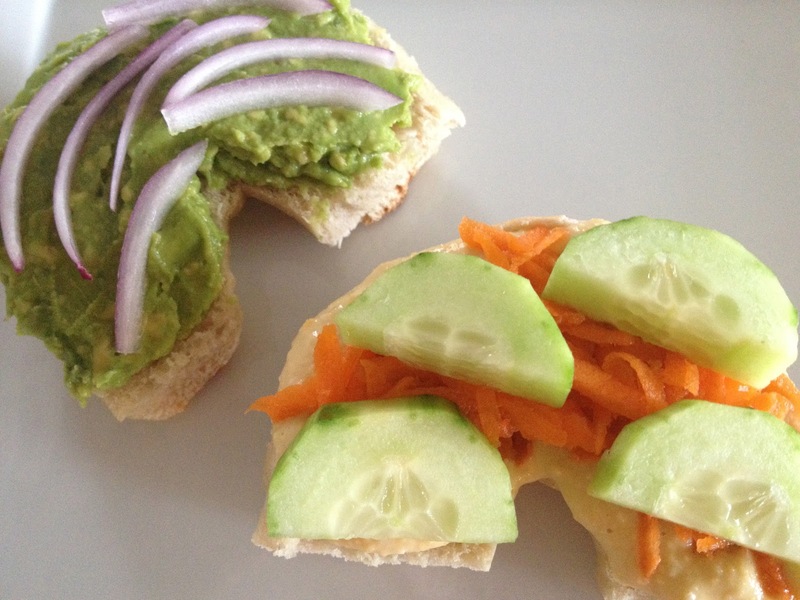 The avocado and hummus together are amazing on a fresh Sunday morning bagel. Mash the avocado and spread on one side of a bagel. Spread the hummus on the other side. Grate the carrots with a box grater and slice the cucumbers and place on top of the hummus. Slice the red onions and add to the avocado side. Make a sandwich. Enjoy! Why is our country so sick? I'm obsessed with bagel sandwiches at the moment, and avocado is my favourite too! Yours looks great.